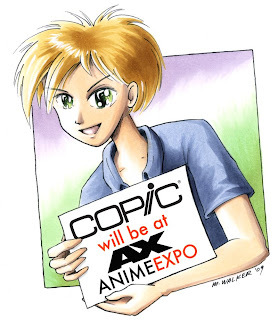 Copic will once again have a booth at Anime Expo, Los Angeles Convention Center, July 1-4. This year we will be working with Blick Art Materials. I will be teaching 3 different workshops. If you wish to attend you need to get there early, as these classes fill quickly. My popular beginner class. We cover papers, inking, basic coloring, airbrushing,etc. It's been a couple years since I have offered this class at Anime Expo. I will not talk about markers much, but I will discuss paper types, inking, tracing, penciling, and a little about converting to digital. Same class as always. I hope to see you there! If there are any topics you would like me to specifically address during these workshops, please let me know. See you soon! 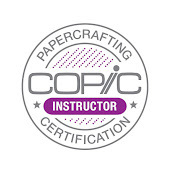 For those of you loyal followers who primarily speak Spanish, or have been teaching classes to papercrafters who primarily speak Spanish, you are in luck! We just translated our Stamping with Copic into Spanish! 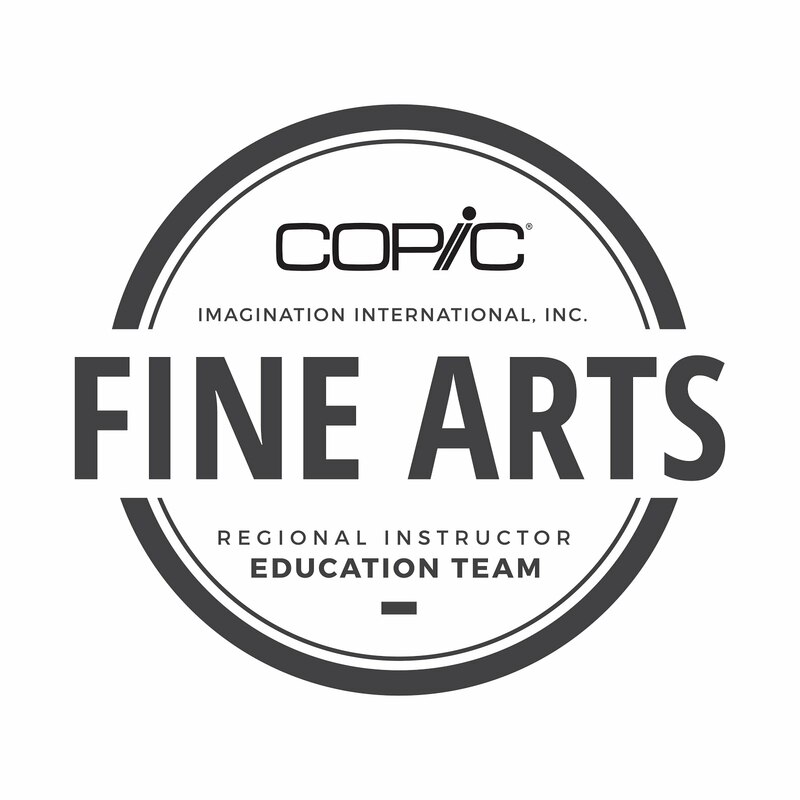 The brochure is available on our website, www.copicmarker.com/library available for download. 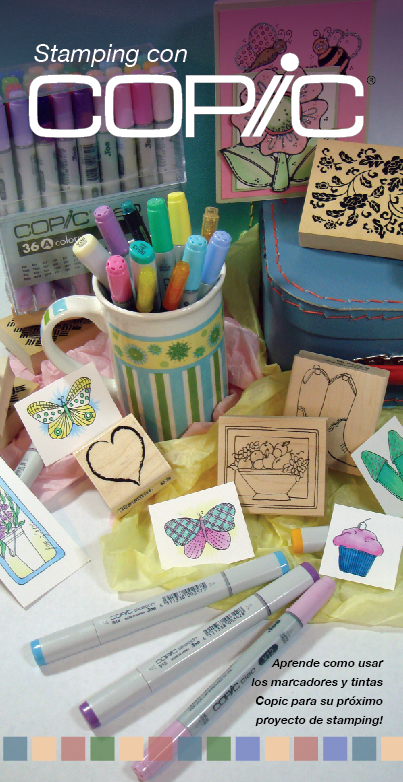 Para ustedes que primeramente hablan español, o enseñan clases de stamping o scrapbooking a individuos que hablan español, tenemos un anuncio! 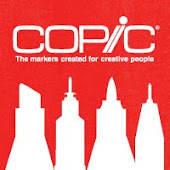 Copic ha traducido el brochure de Stamping with Copic a español! El brochure está disponible en nuestro sitio web, www.copicmarker.com/library disponible para su descarga.